Imagine having a top Seattle chef create a seven-course meal — with wine pairings — for you and seven friends, and serve it in your home. That’s just one of the delectable experiences that Heavy Restaurant Group — the masterminds behind local eateries like Purple and The Commons — have donated to Virginia Mason to help raise money for Bailey-Boushay House (BBH) and other key programs. Heavy has supported our work for a decade. They’ve donated gift cards and special evening-out packages to auction at our annual Chefs' Dinner, and they’ve created custom hors d’oeuvres (Albacore poké tacos, anyone?) that make our events special and inspire donors to come back year after year. 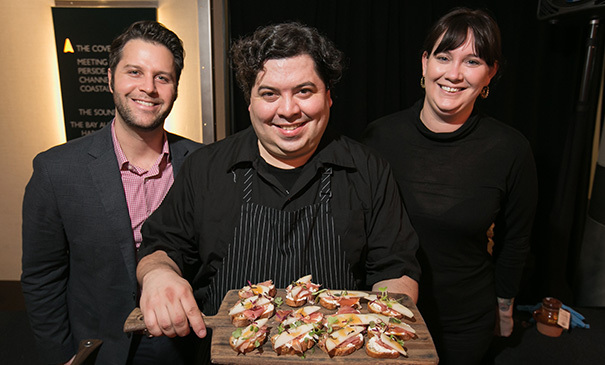 The in-home, seven-course meal was one of the most sought-after auction items at the 2018 Chefs' Dinner benefitting Bailey-Boushay House. Heavy’s contributions played a key role in helping 2018 Dreambuilders bring in more than $4.5 million — a new record — and in helping this year’s Chefs' Dinner raise more than $350,000 for BBH. These donations fuel our push to deliver lifesaving care to people throughout our region. BBH, for instance, is funded largely through grants and donations.